Area of living: Kiev, Ukraine. Company: Owner of YurovDesign, 7 years experience. 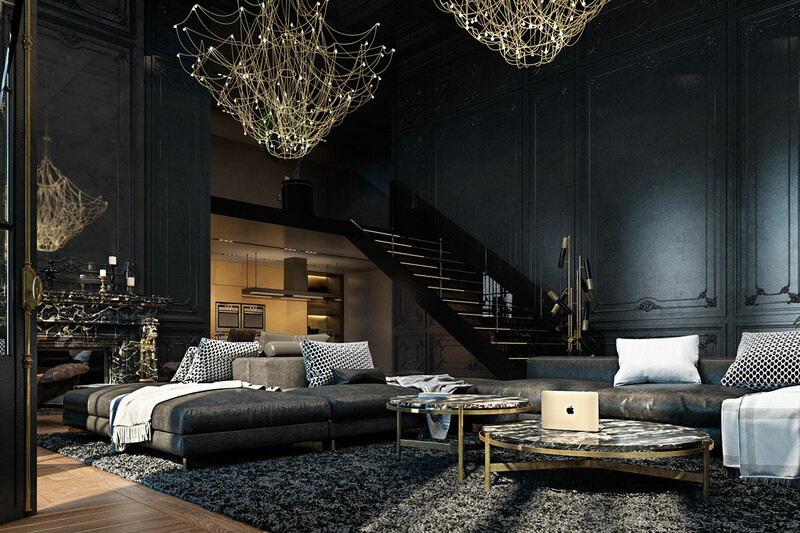 Vitaly Iurov is a certified specialist in interior design. 3D visualization for him is an additional tool to provide his clients with an exceptional service. 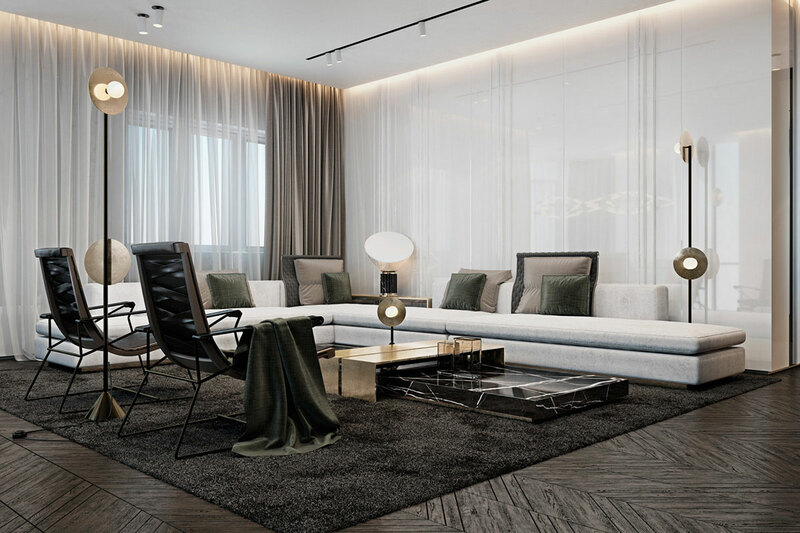 Dispite the fact that his main specialty is interior design, Vitali and his team a capable of engineering of country houses and other complex structures. Moreover Vitali is a self-taught 3D artist who won several local contests. We have standard terms, so-called brief for a client. It includes questions about client’s family members, general requirements to the style and materials: colors, textures, lighting. For each functional area in interior, we ask all customer requirements, ranging from the number of bowls in the kitchen sink, to the desired shape and size of the sofa. 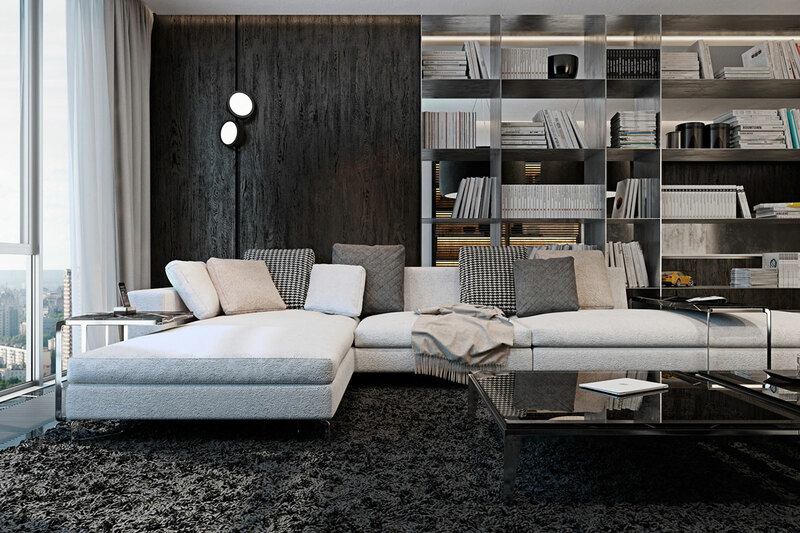 Often, we are working in modern styles such as loft, minimalism and eclecticism. Accordingly the customer comes to us for these stylistic directions. After collecting all the information from the customer, we proceed to the measurement of the premises and to development of a design project. At this stage, photo-realistic rendering is performed and all working documents needed to begin construction collected. 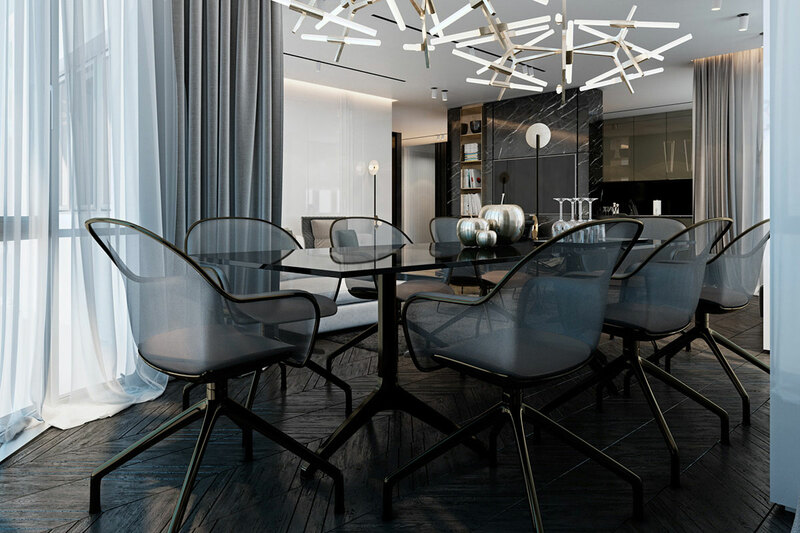 After beginning of construction we also provide supervision, which includes regular visits to the object by designer, selection of materials and making the necessary revisions to the project. We do allow an unlimited number of edits, because our ultimate goal is realization of exclusive project. No, I cannot remember such situation. Typically, we bring all of our projects up to the end. We also can “pick up” an existing project at any stage. I believe that for any customer individual approach can be found. It all depends on the complexity and scale. Sometimes it is two months and sometimes as building lasts for several years. From the complexity and volume of required work. 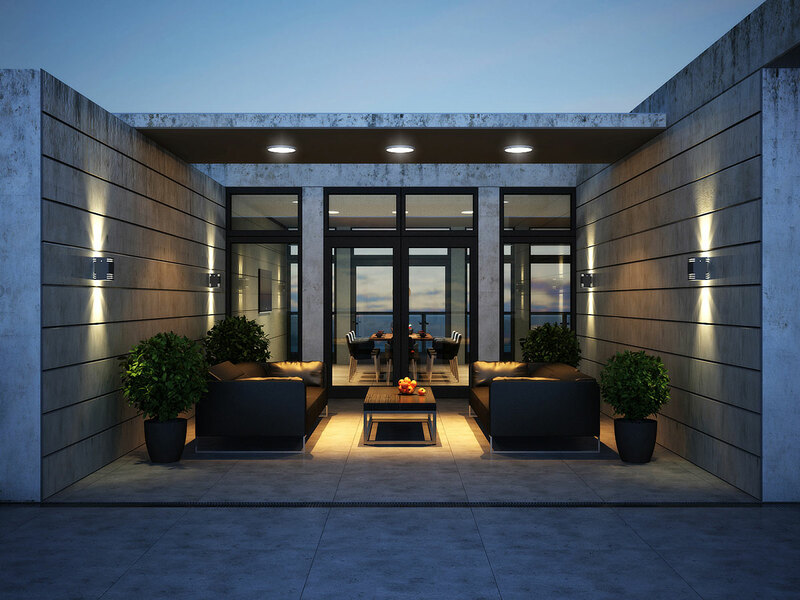 Rendering is a part of a typical design project. The number of angles is ordinary 3 or 4 per room. But if necessary, we make an unlimited number of angles for a complete space review. 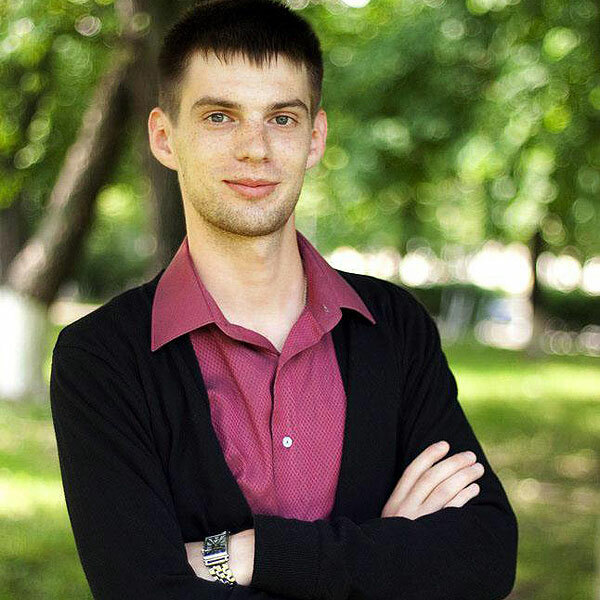 I graduated from the architectural faculty of Kyiv National University of Construction and Architecture. Speciality: interior design. Pinterest, HQRoom and Behance. These sites are enough for me. We also regularly travel and visit the world famous exhibition of design and architecture. Right now there are so many of them, but I like the most Panoptikon, Federico Ciavarella, Kuoo Architects and Sérgio Merêces. From domestic strongest team in terms of 3D graphics, in my opinion, it is YoDezeen. I render the whole scene entirely. At first I model volume only, than light settings, details and put to the final render. I try to do everything to the maximum in the 3D file. Photoshop is needed only for small post-production: contrast, levels… I think that such way of working is the most correct in terms of physically correct lighting and shadows. – How would you rate your level of expertise in 3D graphics on a scale 0 till 10? I cannot yet assess myself objectively, because I am constantly in the process of development. I always learn something new in each project. But I can say that I really like result of my work, I think that all renders performed at a high level. I cannot suggest any courses because I’m self-taught 3D artist. I would like to devote more time to the lighting in the scene, because it sets a special atmosphere, which is so necessary to the customer. We had a very large-scale project of a penthouse on the island of Sardinia, Italy. Difficulties lie in the unusual and complex geometry of space and use of techniques, extrinsic to our climatic region. It was necessary to stylistically combine interior with exterior without disturbing the impression of leaving the premises. Our team coped with this task in the specified customer deadlines. The last few years I have seen a very strong rebound in this sector in Ukraine. People will not only begin to understand how to present beautiful picture, but do not forget about good design, which is very important! It is really nice. No, I absolutely do not care, because I consider myself first and foremost as a designer. Do not forget that the 3D graphics is just a tool, which we need for the project implementation and realization. The main thing in this business – design itself. – What can you recommend to others how to attract more customers? Work constantly, be in good shape! Do always a little bit more than expected from you and try to put something to render every evening.